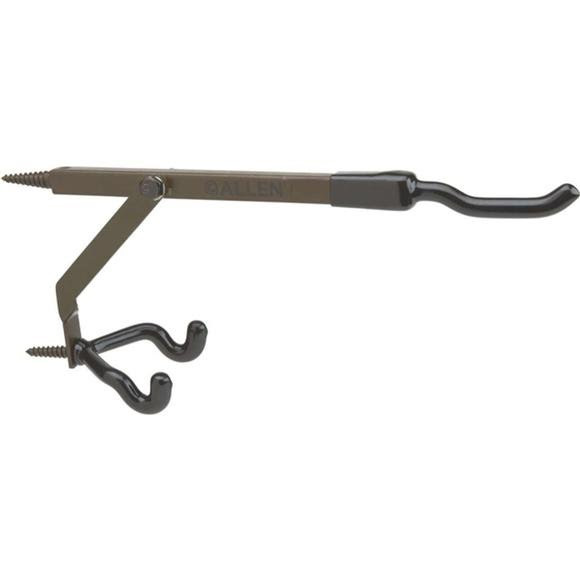 The Allen Co 10" Treestand Bow and Gun Hanger features a coated hook for silent on/off access. The hanger rotates for perfect bow/gun placement, and the adjustable gear hooks put your accessories in the best position as well. Lightweight design. Measurements 5.5" x 14.4" x 1"